Skin Protection, moisturiser for knitting, sewing and all creative fields. Handling a work piece when your hands are less than silky smooth can feel just like dragging silk over a cheese grater, but DermaGuard provides the ideal solution. This easy-to-apply lotion starts helping to repair damaged skin straightaway and one application guarantees to moisturise and protect for up to four hours. It’s ideal for all craft workers – and especially for those who require exceptionally smooth hands. 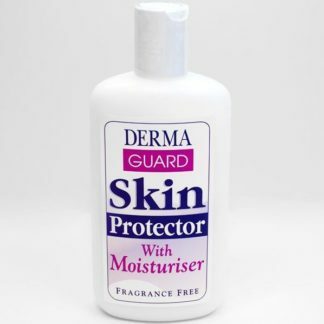 Unlike most barrier creams,DermaGuard leaves no greasy film and, once it’s absorbed into the skin, it won’t mark or stain your work piece. DermaGuard doesn’t inhibit the skin’s natural ability to breathe, nor does it affect touch sensitivity. Its unique formula is excellent for eczema and dermatitis sufferers and for those suffering from skin problems caused by working with craft materials. 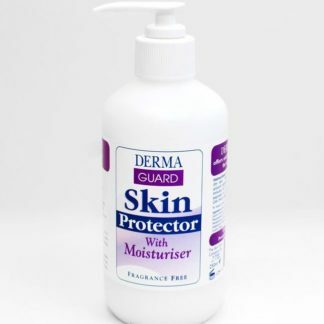 DermaGuard helps to protect the skin from the damaging effects of chemicals and dyes used in wools and cottons; clay and gypsum; nickel; polishing rouge; fire retardant chemicals (as applied to curtain and upholstery fabrics). Sap and resins when working with woods. For those working with a wet media such as flower arranging or papier-mache, DermaGuard will help protect against the damaging effect of the water. DermaGuard helps protect against the drying effect when using paints, pastels and crayons. 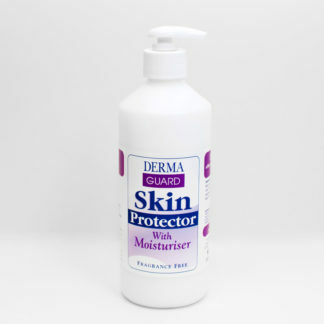 DermaGuard helps prevent skin irritation if latex or rubber gloves must be worn in pursuing your craft. With DermaGuard applied – in craftwork, remember to rub in well around the cuticles and finger tips – it is much easier to clean up afterwards and without special soaps. Each time DermaGuard is applied, it creates an invisible, non-greasy, fragrance free barrier which prevents irritants and potentially harmful substances from penetrating the hands and face – and other skin surfaces – for up to four hours. What’s more, DermaGuard remains effective even after washing and long exposure to water. 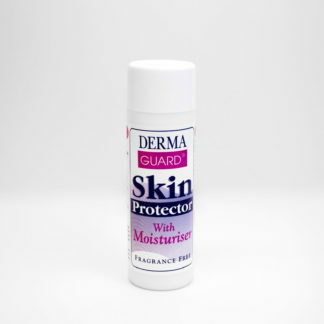 DermaGuard is an ideal product for anyone to use regularly as a protector and enhancer of the skin. Everyone with skin needs DermaGuard …!